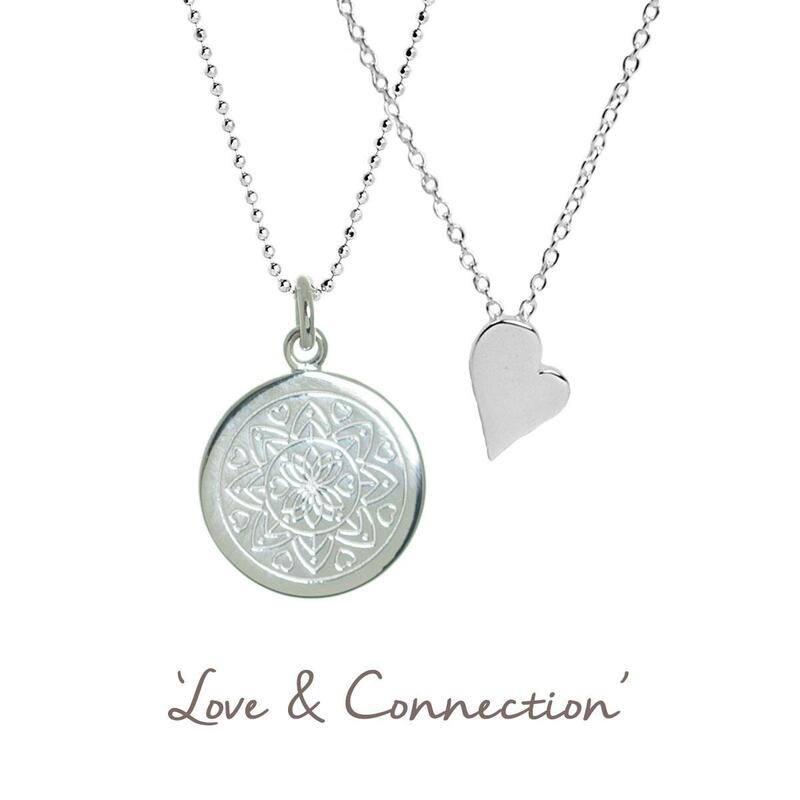 We have paired our ‘Loved and Connected’ disc necklace with our gorgeous miniature heart pendant, to create a set full of love. 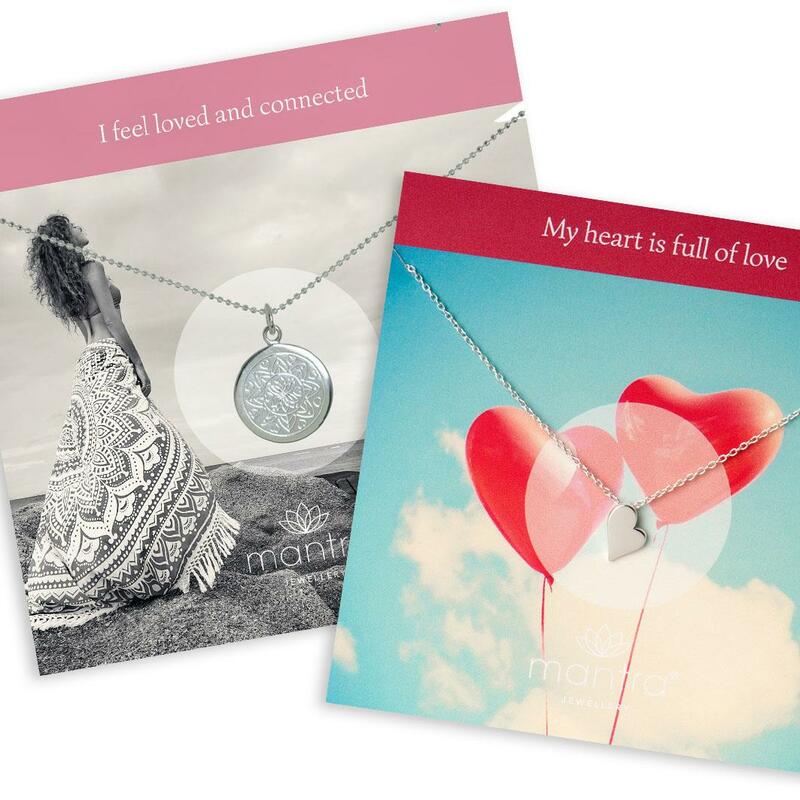 The disc is engraved with a beautiful mandala design, and has the mantra, ‘I feel loved and connected’, while the elegant mini heart brings a romantic touch. 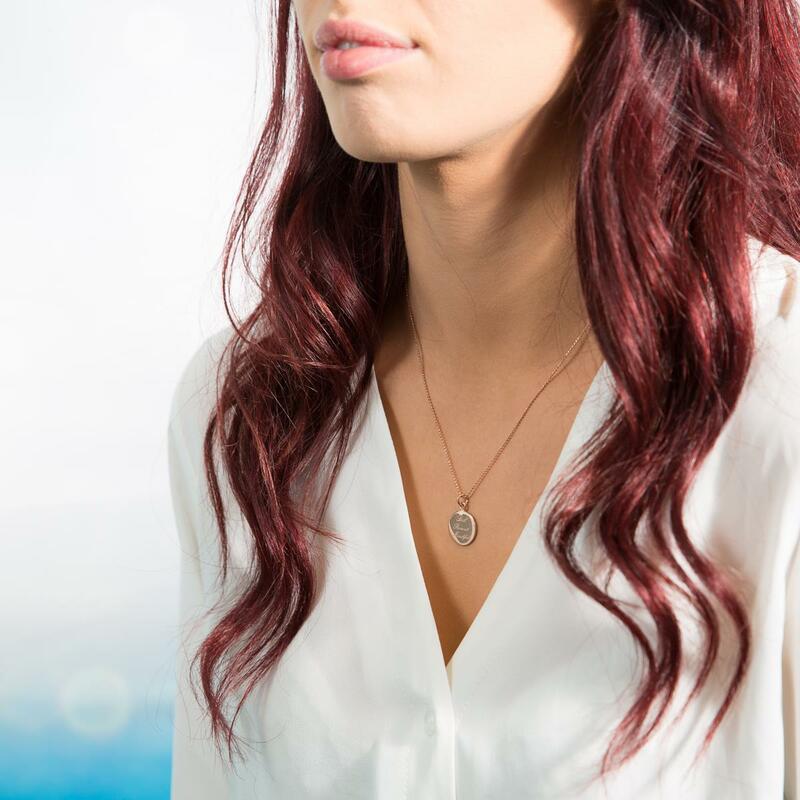 These are two separate necklaces which can be worn together to create a fashionable layered look, or worn as completely separate pieces. The disc features a mandala, which is a symmetrical design made up of orderly shapes and patterns, symbolising harmony and unity, and representing our connection with the universe. Hearts are woven around a central lotus symbol, showing the love that connects us all. 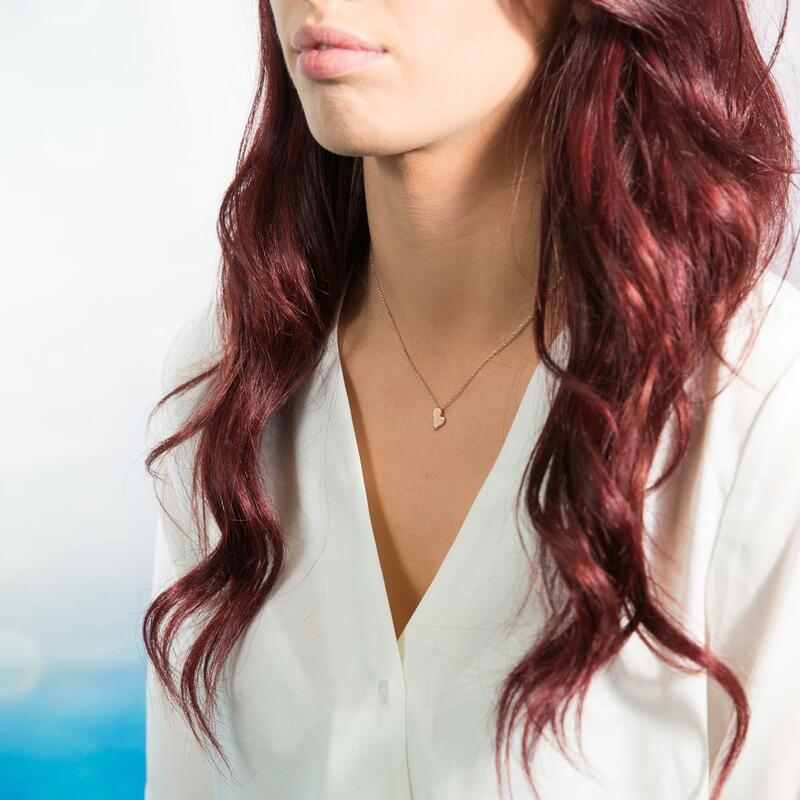 The disc hangs on an adjustable 18 to 20” diamond-cut ball chain. The mini heart is on a shorter 16 to 18" chain, which makes it perfect for layering with the longer necklace. This set will bring you comfort when you wear it, reminding you of the love that surrounds you and connects you to other people. It reassures you of your close connection with the universe, and all the love that is out there and in us. Know that love holds you safely and protects you. This is the perfect romantic gift for an Anniversary or Birthday treat, or a great way to remind yourself on a daily basis that you are blessed with love from those dearest to you. 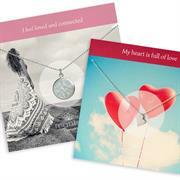 Worn together as a set, or separately for two different looks, this makes a lovely gift. Hold onto your piece of jewellery from time to time through the day, and bring to mind its mantra. Mantras work to uplift us when we feel down; and serve as both celebration and appreciation when we are happy and content with our lives.